Get Lost and Have Fun! You’ll be lost, laughing, and loving it! Our 6+ acre cornfield has a different, fun theme carved into it each year. The maze design has miles and miles of trails – lots of turns, and opportunities to get lost! Bring your friends and break into groups for an a-maze-ing challenge — who can get from entrance to exit the quickest. For most folks, it’s a 35-45 minute walk. Weekend admission to the Maze is included with your General Admission. The maze is open weekdays and weekends throughout our fall season. 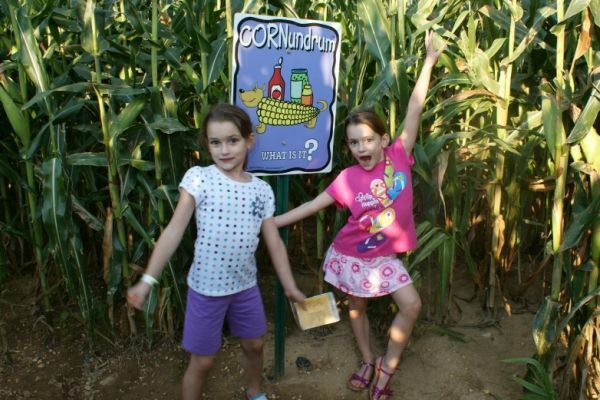 Be sure to visit our Moonlight Maze too! We’ve got a special corn maze design planned for this fall … you’ll think it’s just MARVELOUS! The maze is planted in late June, the paths are cut in early July, and we let the stalks grow for a bit before we sent the drone up to take some aerial photos to share. Follow us on social media and look for some fun maze contests and give-aways.! 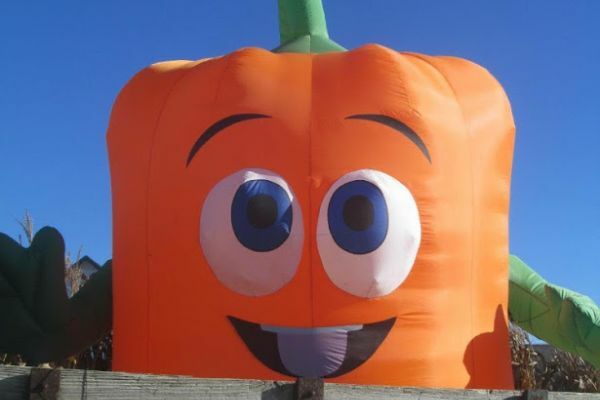 Join Spookley the Square Pumpkin and his wonderful anti-bullying message in phase one of our corn maze. Read along to the storybook that’s posted along the pathways. It’s a wonderful story that tells of Spookley and how he overcame being different, teased, made fun of … and bullied. It’s not just a cornfield. It’s a-MAZEing fun! Passports help guide you, Cornundrums keep you on the correct path, Simon Says keeps you laughing, and Farm Scene Investigation is fun for the whole family while determining who kidnapped Farmer Joe! Visit our Moonlight Maze too!